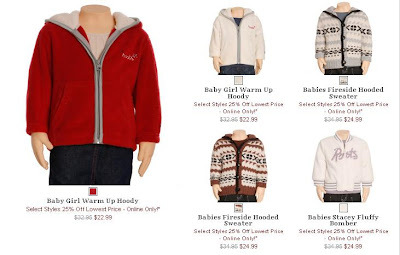 Roots Canada has some good sales on right now - and they are offering free shipping until December 28! 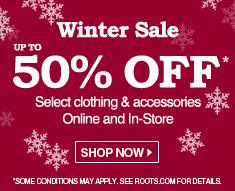 Roots Canada is having a huge Winter Sale - get up to 50% off select styles and accessories! The sale is on for a limited time only. They are also having Boxing Day Online Preview sale on select leather bags - 30% off! The sale is on until December 28. No codes required for either sale - discounts are applied in the shopping cart. Both sales are available online now! Shop early to get the styles and sizes you want - and you get FREE shipping too, until December 28 midnight EST! Click here to shop at Roots Canada. 0 Response to "Roots Canada - Up to 50% Off, 30% Off Leather Bags, Free Shipping"